Editor-in-Chief: Tadeusz Trzaskalik, University of Economics, Katowice. Access: Print and online edition (Original version of the "Multiple Criteri a Decision Making" is the paper version). 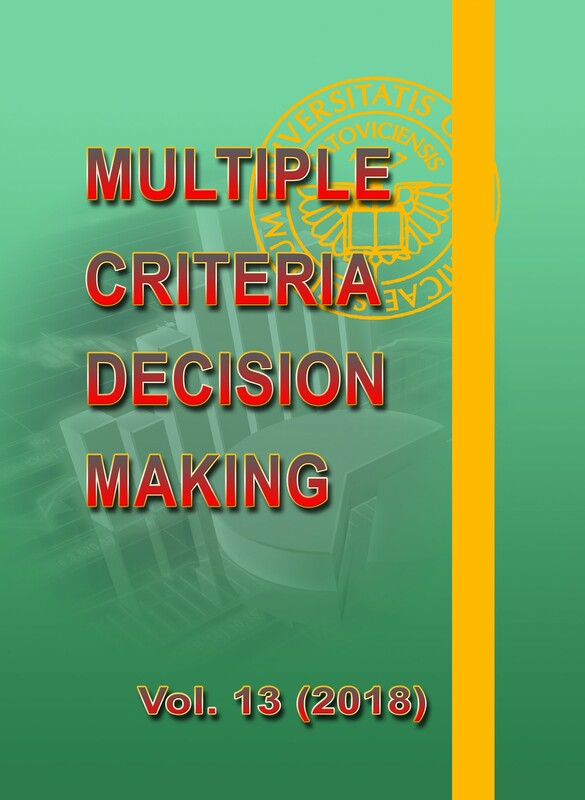 Multiple Criteria Decision Making (MCDM) journal was founded at the University of Economics in Katowice in 2011. It is a continuation of a book series entitled "Multiple Criteria Decision Making" edited by Tadeusz Trzaskalik and Tomasz Wachowicz and issued by the Publisher of the University of Economics in Katowice since 2005. MCDM is a double-blinded-reviewed annual that explores the entire process or the selected elements of the multiple criteria decision making. It offers prescriptive as well as descriptive and normative viewpoints on the decision making. In addition to theoretical and empirical research, the journal presents real-world applications and case studies and the software developments that support MCDM problems. All articles of the Journal are licensed under a Creative Commons Atribution-	NonCommercial International License .